It is time once again for the Canadian Cyclist Christmas Gift Guide. We are going to start with the suggestion that we make every year - a contribution to UNICEF. UNICEF saves lives, especially children's lives, and they have a couple of excellent gift donations that suit any cyclist. Donate a Bicycle. A bicycle opens up a world of possibilities to a child - they can get to school easier, do chores, help their family earn an income and, just as importantly, expand their horizons. 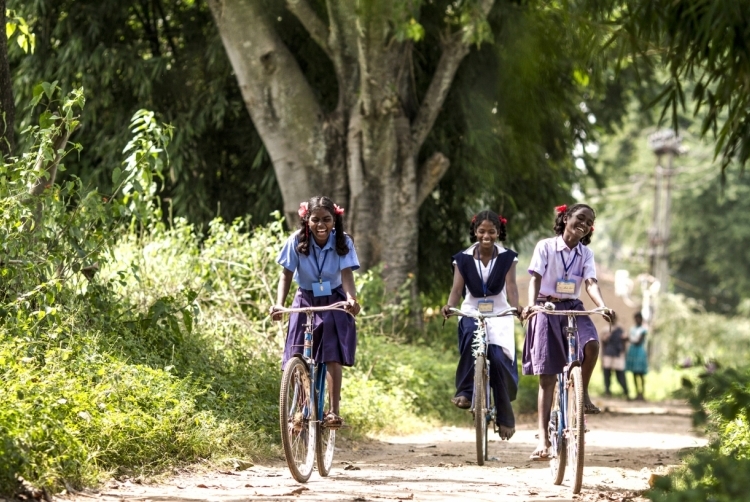 Through UNICEF Canada you can donate a bicycle to a child for $117 - less than the cost of a pair of tires. While most Canadians think of a bike as recreational item, UNICEF calls it a Mobile Health Unit. A bicycle equipped with a carrier and vaccines for Measles and Polio (50 of each) costs $150, and is a simple and effective way to save lives in poor, remote communities.